This Ford E-450 was used by the Red Cross for an Emergency services truck. 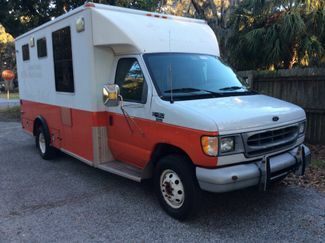 It has the full size ambulance box with cabinets, A/C and heat. Lots of areas for storage racks etc. A perfect unit for conversion to support a mobile business.